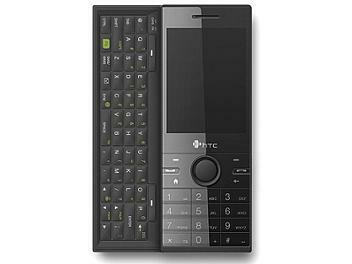 Taking smartphone communication beyond the practical... the HTC S740 transcends power, usability and simple key-control to deliver the most joyful and intuitive writing experience. Designed with both beauty and function in mind, the S740's slender formation of bold angles and distinctive facets perfectly conceals a slide-out keyboard that makes typing-intensive tasks more pleasurable than ever before. Working in perfect harmony with the S740's quick messaging tools... writing documents, texts, emailing and instant messaging conversations feel as natural as they do on a notebook, giving you the freedom to communicate the way you enjoy the most. Surf the Internet anywhere with broadband-speed HSDPA or hook up to the nearest Wi-Fi hotspot to peruse the web at your leisure. Stay in the loop with everything the world of media has to offer with a built-in RSS hub to alert you of the latest in news, entertainment and content as it appears. Perfectly balanced to be as indispensable to the demanding business communicator as the most energetic of social butterflies... the HTC S740 belongs to everyone who's passionate about staying in touch, whatever the medium.